This sleek and lightweight Ultrabook laptop offers a high resolution bezel-less display that stretches 13.3 inches in an 11 inch frame, covering 80% of the panel. Even though this beauty is a svelte 9-15mm thick, it offers a full set of ports for all your external devices. It also packs a lot of power for its size with an Intel Core i7 Skylake processor and a fast PCIe solid-state drive (SSD). Voted the #1 laptop for 2016 by TechRadar.com, this is a solid choice for the techie who prefers a Windows operating system. Extremely lightweight, this is the perfect laptop for the stylish on-the-go professional. With a more powerful processor, longer battery life, and sharper display than its predecessor, the Macbook 2016 (now available in rose gold) is a gift that’s sure to make any Apple fan feel tickled pink. Instead of committing to a puppy, how about a cute little robot? The Anki Cosmo has a playful personality that’s sure to keep your kids entertained. It can even recognize its owner and express emotion. You’re not limited to the manufacturer’s features either. The developer platform allows you to improve upon the Anki Cosmo, preventing this new gadget from becoming old news once the holidays are over. The best part? No house training required. 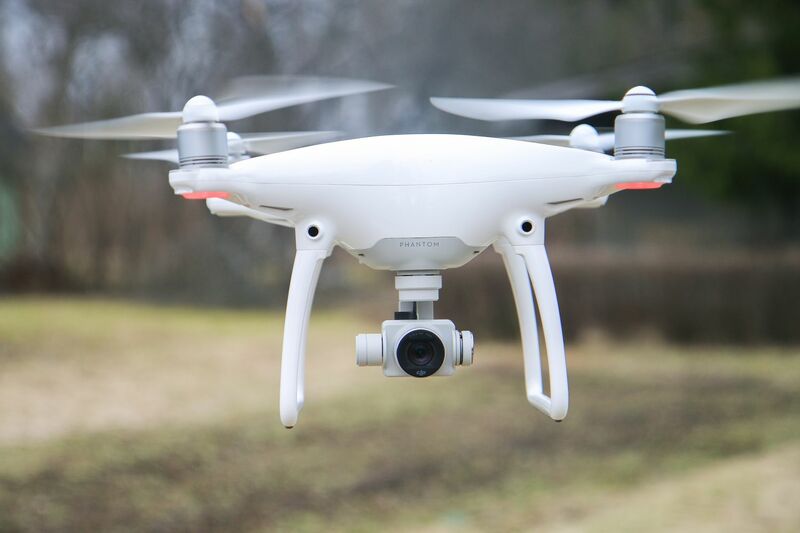 Capture 4k video and slow motion full HD content from a bird’s eye view with the Phantom 4 drone. The ability to automatically avoid obstacles and track moving objects, allows you to safely fly around the neighborhood at up to 44 mph without worrying about unfortunate collisions with, say, your neighbor’s nice Audi or the new drone they got for Christmas. Even the most organized and well-designed online album can’t beat a printed photo. Give the photographer or social media maven in your life the ability to print her best photos directly from both an iPhone or Android with this compact and portable HP printer. Never lose your handwritten notes or sketches again! Compatible with most types of paper, the Bamboo Slate smartpad is the best way to directly convert handwritten notes and drawings into editable digital files. Decorate your walls with a rotating display of fine art without breaking the bank. With a variety of frame options, the EO2 looks like a real painting but is actually an LED-backlit matte display that shows off digital image files at their best. Stay motivated with your favorite tunes while at the gym or on the trail with these lightweight and comfortable wireless sport headphones from Plantronics. These earbuds will stay put even during the most intense workouts, have a battery life of up to 8 hours, and feature amazing sound quality. Enjoy perfectly cooked meals every time with the Joule Sous Vide cooker - a smart kitchen accessory that connects with your smartphone to tell you the exact temperature and amount of time needed to cook everything from roasted veggies to medium-well steak. This is truly gourmet cooking made easy. The Automatic Pro makes driving safer and less stressful. This great device can locate your car if stolen (or if lost in an overcrowded parking lot), alert emergency services in an accident, and even make sure your teen is driving safely. Check engine light on? Save yourself a trip to the mechanic and let Automatic Pro diagnose the issue first. Driving has never felt so safe and stress-free. Pagoda Technologies is a globally recognized IT support company doing business in Santa Cruz, San Jose and all over the world who is working to help businesses and their IT departments run smoothly and efficiently. To learn how Pagoda Technologies can help your business, email us at support@pagoda-tech.com to schedule a no cost business assessment.